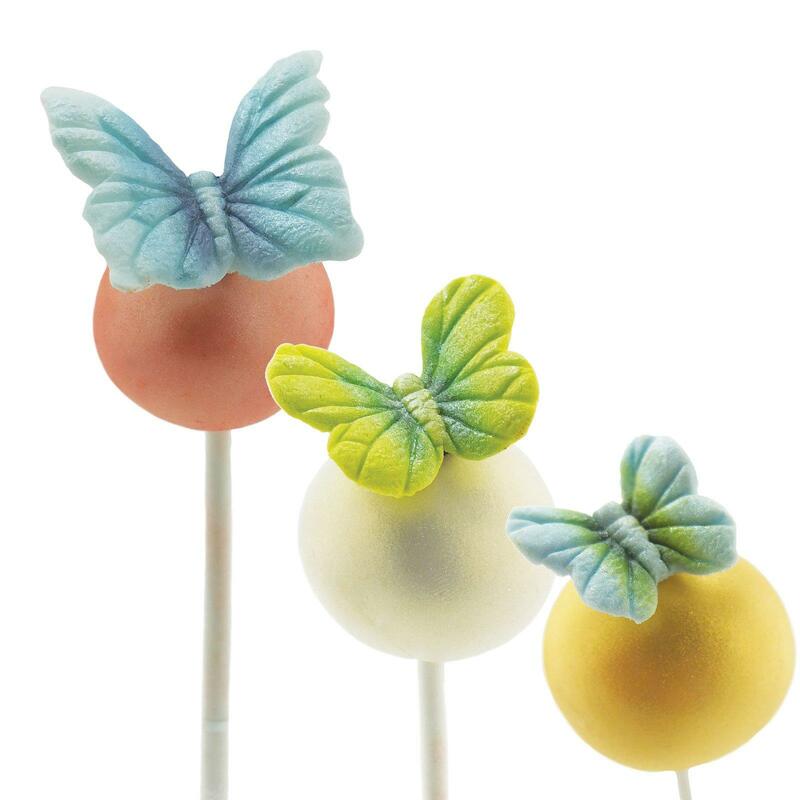 Create quick and easy butterflies in icing, marzipan or modelling chocolate. 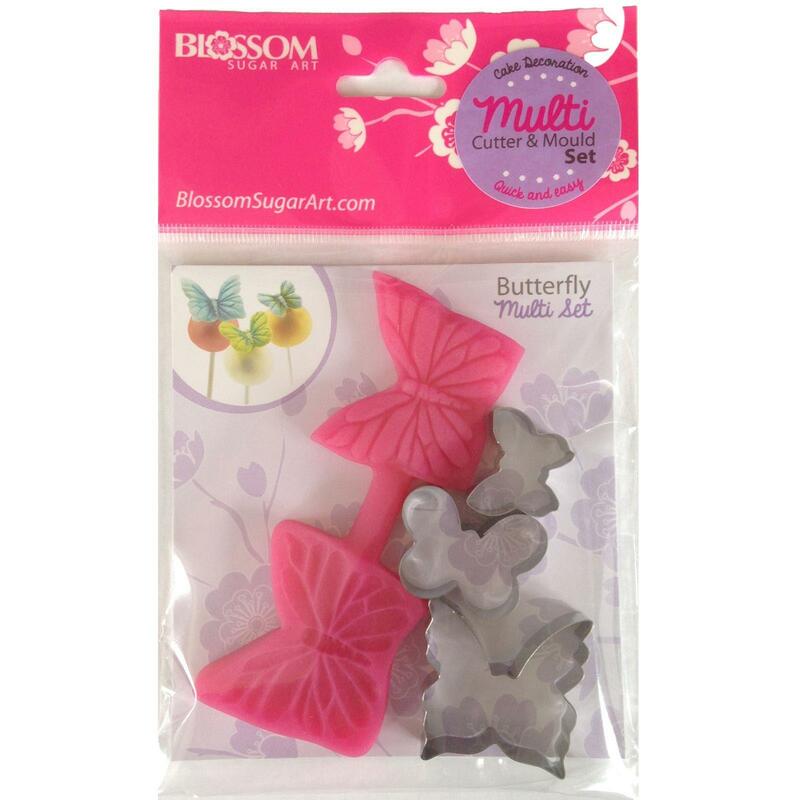 Butterfly cutters are approximately 35mm, 30mm and 20mm across. 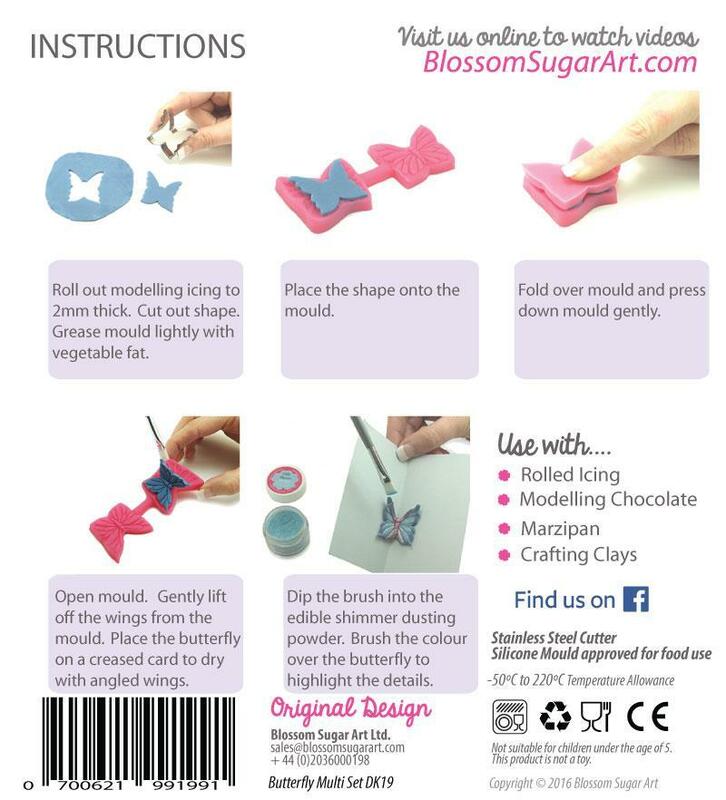 Unique two part mould gives highly detailed impressions on both sides of the butterfly. Suitable for the beginner to advanced decorator. Non Stick food safe silicone & Stainless Steel cutters. 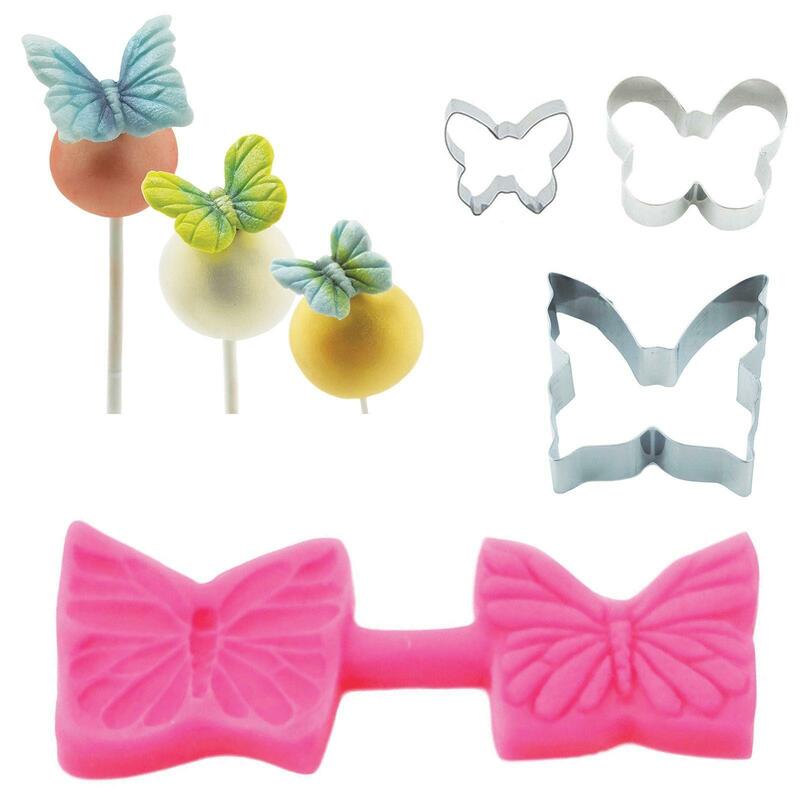 Our moulds are also suitable for air dry clay, paper clay, polymer clay, jewellery clay and so much more. 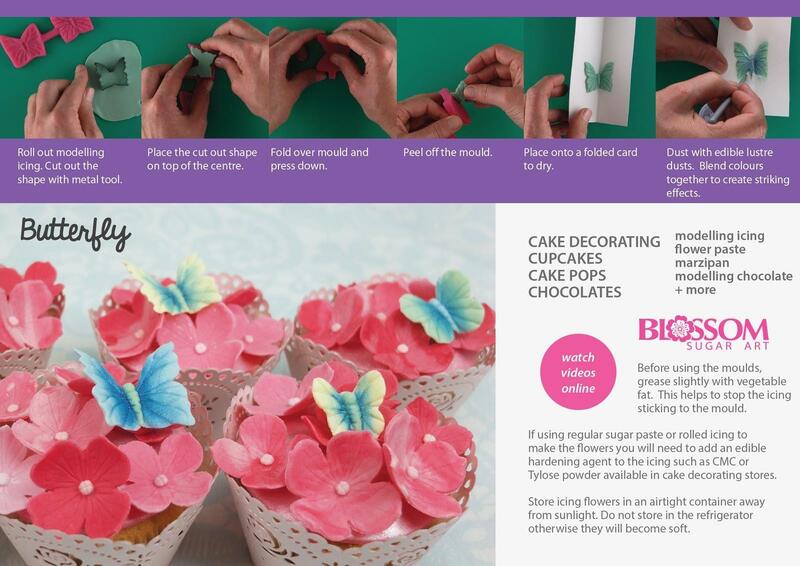 Create beautiful butterflies to decorate your crafting projects. It is recommended that you do not use the same mould for food and non food purposes.